Add an attractive newspaper storage unit to your existing mailbox and post with the Whitehall White Newspaper Box. Sized and fitted for use with many of the Whitehall mailbox posts, this vivid accessory will perfectly match your existing Whitehall White Deluxe Mailbox (not included). Made from die cast, recycled aluminum, this receptacle handily attaches to your existing post with its included hardware, and its classic size holds a newspaper or circular with ease. Raised vertical lines on the base of the box slightly elevate your paper, keeping it away from any water in the receptacle, and the white color adds a bold look for many seasons. A weather resistant coating further protects the unit, and its aluminum construction resists rot. 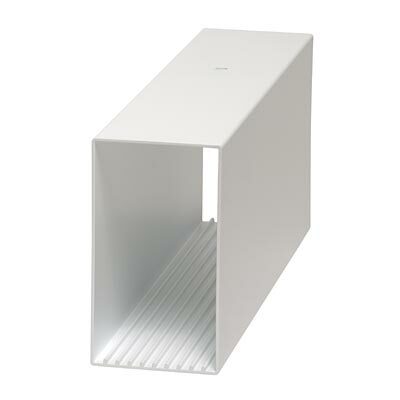 Add a distinct spot for your newspaper with this White Newspaper Box.